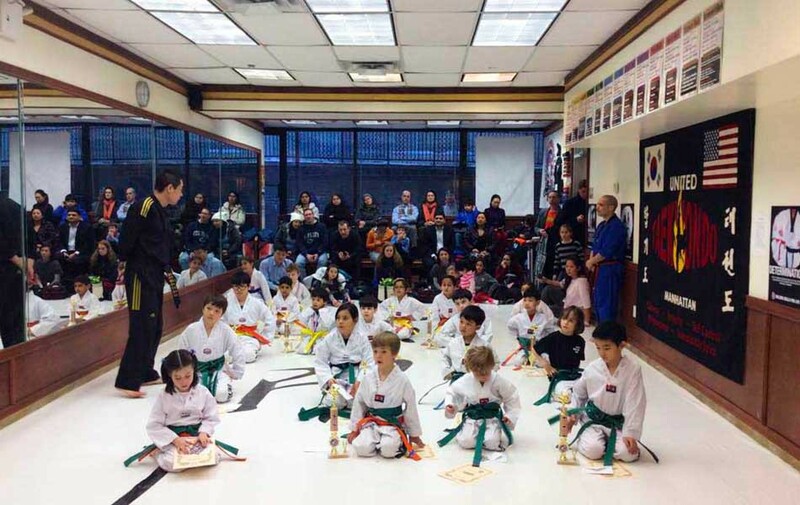 United Tae Kwon Do Center in New York, NY. WTF certified Taekwondo instruction for both children and adults. Instruction includes sparring techniques, self defense, weapons, form, and breaking. Master Kim is a certified 5th Dan Black Belt in Taekwondo under the teachings of his father, Grand Master H.K. Kim, and is also a certified 4th Dan Black Belt in Hapkido under Grand Master Shin. He has over 25+ years of experience practicing TKD and has been teaching TKD for more than 15 years, producing many experienced black belts over the years. Master Kim currently is the Head Master at the United Taekwondo Center in Manhattan and has received several recent distinguished awards and honors such as the induction into the International TKD Hall of Fame in 2012 for Best Leadership, and the Manhattan United TKD School was awarded Best School 2012 at the U.S. Hong Ik Tae Kwon Do Championships. The school teaches all aspects of TKD and self defense and includes a black belt team program.